John Cameron was the BLS member responsible for doing all the hard work of setting-up the "Metro Meanderer" trip and was designated BLS Tour Manager on the day. 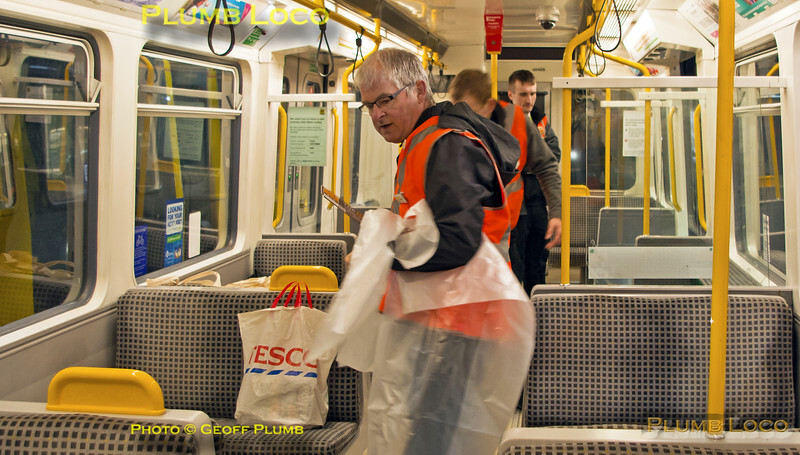 Here he is helping out the other stewards and Metro staff to prep the train at Gosforth Depot prior to the tour commencing. 07:55, Sunday 25th February 2018. Digital Image No. IGMP34044.